The McDonnell v. U.S. decision limited what prosecutors can charge as public corruption. The lower house of the parliament has 513 deputies of which 367 voted for impeachment. According to a watchdog group in Brasilia, Congresso em Foco, more than 300 of the members of the lower house are under investigation for such things as corruption, fraud, or electoral crimes. It's been a pretty momentous week in the history of American politics, folks. The Republican Party is going to nominate Donald Trump to run for the highest office in the land. Politics and entertainment are now one. Silver, for decades one of the state's most powerful politicians, was sentenced for collecting millions of dollars in illegal kickbacks. Ethics is something that was taught in ancient Greece and was once neatly woven into our secondary education system. Ethics classes, like civics classes, are now rarely found on the high school level in this country. Isn't it time to resurrect this again? It can be humbling, during this season of next-year predictions, to objectively evaluate how accurate my forecasting was for 2015. Wins one and two come as immigration courts and civil forfeiture surely advanced in 2015 awareness. Until election campaigns in New York State are publicly funded, getting rid of bad-apple politicians won't do much. The whole tree is rotten. Will Sheldon Silver's Conviction Tip Course Of Asbestos Litigation? It Might. Even before a federal jury in New York found former state Assembly Speaker Sheldon Silver guilty on all seven corruption charges this week, it was clear that the weeks-long trial and its sordid details of how politics really work in New York would resonate well beyond its verdicts. The eventual cost of corruption is not just that you build things you shouldn't, but you stop building things altogether. And the real cost of corruption in New York State -- and part of Sheldon Silver's legacy -- is the things we didn't do. Silver was one of New York's most powerful politicians for two decades. 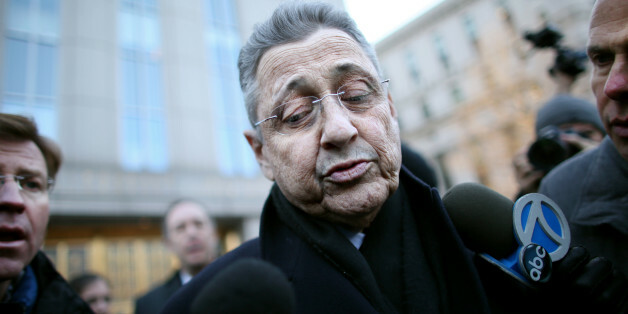 It will be months before Sheldon Silver, the ousted New York Assembly Speaker facing federal corruption charges, finally gets his day in court. For a civil lawsuit community often deemed the "longest running" in America, with decades of science and judicial decisions, it remains truly amazing that so very much seems to be unsettled. The United States has a long, possibly unique, tradition of fearlessly prosecuting top politicians for corruption. The latest to be caught in the graft net is Sheldon Silver. The GOP wasted no time in creating yet another self-induced government shutdown showdown. Not even two full months into their control of Congress, and they are pushing a critical federal department towards shutting down, all in an effort to make a political point. Asbestos litigation is a $10 billion per year industry, with some $2 billion going to plaintiff firms, so it's not like there's no money in the high-risk job of suing corporate America. The new Republican-controlled congress rolled up its sleeves and rolled out its agenda over the last week, and along with immigration and budget issues it turns out "asbestos litigation reform" is an apparent priority. We're all hearing more and more complaints about bad airline service. But then, flying has been miserable for years, except for some of the relatively few folks who can afford business or first class.